Back when Tyler was ten, he got caught setting a dumpster fire. He feels like his parents have given up on him, and he’s spent the years since trying to convince his parents that hes a Good Kid – taking honors classes, running to release his anger instead of setting fires. But on his first day of high school, a run-in with the new kid Danny lands Tyler in detention. All of Tyler’s hard work is ruined. Tyler slams out of his house and runs harder and faster than ever and finds himself standing outside of an abandoned house. For a while Tyler is able to resist the temptation to set fire to the house. He imagines that a girl his age, a girl whose grave he found in the cemetery, used to live there. He thinks the house is somehow helping him, until one day when Tyler sets a small fire in the house and awakens the spirits trapped inside. Now he must deal with ghosts and a possessed girlfriend, as well as with his behavioral issues. Despite taking three graduate classes and working 30 hours a week, I decided to write a novel in one month. This was my second year doing Nanowrimo. I grew up loving a good ghost story and I certainly enjoyed writing this one. 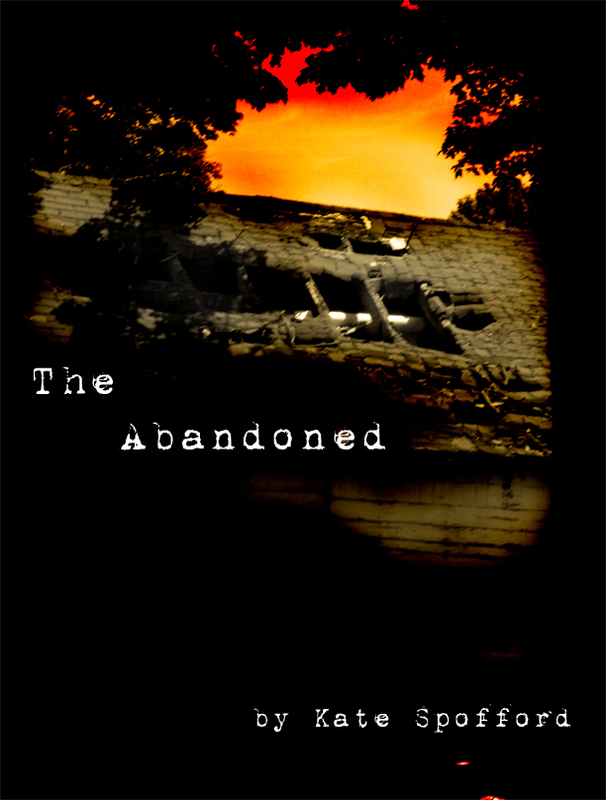 The first inkling of an idea for The Abandoned came from the movie “The Messengers.” I had this idea that a kid might set a house on fire because there were ghosts in the house, in order to get rid of the ghosts, and no one would believe the reason why they started the fire. Especially if the kid happens to have a history of fire-setting or even just being a delinquent. In the case of the scenes where Tyler comes face to face with the ghosts, my inspiration for how the ghosts moved came from the Japanese horror movie “Pulse” (not to be confused with the American remake–you really have to see the Japanese version). I also had some inspiration for the abandoned house: photographs from the book Ghosts in the Wilderness: Abandoned America by Tony and Eva Worobiec. It’s a really beautiful collection of photographs of abandoned houses, and a few of the photos in particular inspired my design and description of the Birdsall house. I took this picture of the building next to the library, which had a collapsing roof (the roof has since been fixed). It wasn’t a completely abandoned building, but it was good enough, especially after adding some effects in Photoshop that made it look dark and fiery (without actual flames).